Do you want to have perfect eyebrows? How important it is to you? Well, simply put, perfect eyebrows show the world your beauty from head to toe. Now, perfect eyebrows might seem like an easy task. But it is not. There are a couple of ways to remove unwanted hair, and each comes with its own pros and cons. It is up to you to choose the one that works best for you. But once you find the perfect way, and you master how to remove unwanted hair, you allow the world to admire you in full display. Let’s see how you can get there. This might seem a bit unconventional, but it is one of the more natural ways for removing eyebrows. The best part is all of the ingredients are already there in your kitchen cabinet. All you have to do is mix them and you have a mask you can use for removing hair on the face arms, and legs. You need to mix lemon, sugar, corn flour, eggs, and water in a bowl until you get a thick paste. Once you have a paste, apply the mixture on your skin, and leave it there for 15 minutes. Pull the mask in the opposite direction of hair growth, and there you go. The mask works better for large areas of hair. It can be a bit tricky to remove just a couple of eyebrows. But you can master the technique even for the most delicate sections. 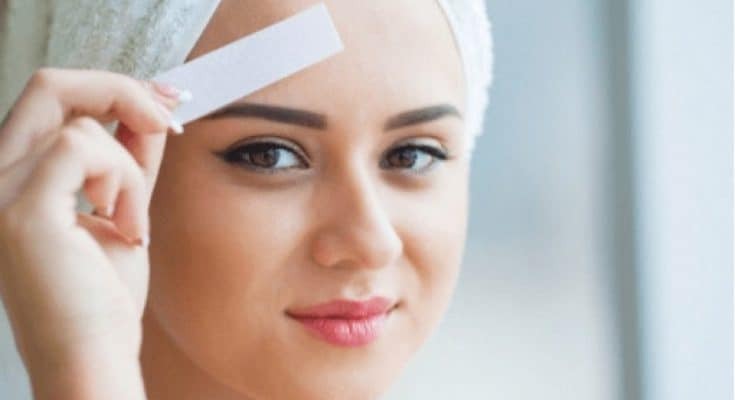 Waxing is probably one of the most popular ways of removing facial hair. It is quick and easy, and rather precise. Most importantly, waxing removes the roots of your hair, which means it lasts for longer than shaving, for example. That being said, while there are a lot of commercial waxing products, we recommend trying a DIY home wax. Why? Well, because it is free of any chemicals, and it is better for sensitive skin areas. You will need only three ingredients: honey, sugar, and lemon. Mix them all together and heat until bubbles appear. Once it forms into a wax, let it cool for a few minutes. Apply on areas where you want to remove hair. 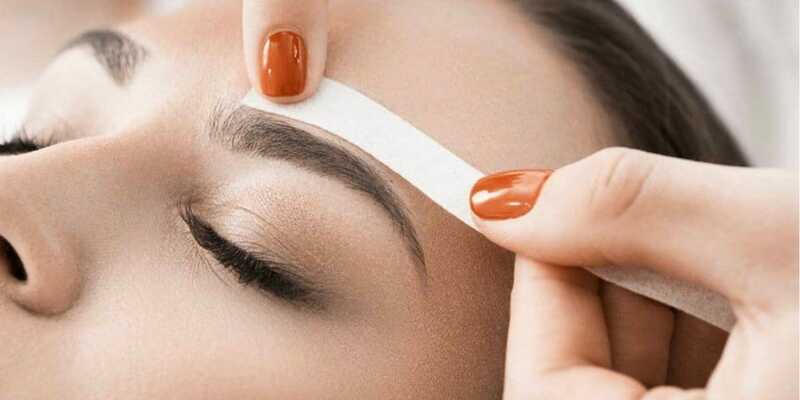 With a tiny strip of cloth, pull the wax against the direction of hair growth. It is that simple. Shaving is easier, and less painful than waxing. But on the flip side, it doesn’t last as long. You can expect your hair to come back within several days. For shaving, you will need an eyebrow razor, and shaving cream or gel. Another problem with shaving is that it is hard to get clean brow lines. Just make sure you use a dedicated razor for eyebrows. Do not use the same razor for other areas of facial hair, as it can cause irritation or shaving bumps. Plucking as a verb means “take hold of something and quickly remove it from its place”. Now isn’t that something you want with your eyebrows? Plucking is probably one of the most precise techniques for removing facial hair. But at the same time, it is also time-consuming. Now, if you want to try plucking, you have to do it the right way. And that is why we are here to teach you step by step how to pluck your eyebrows. 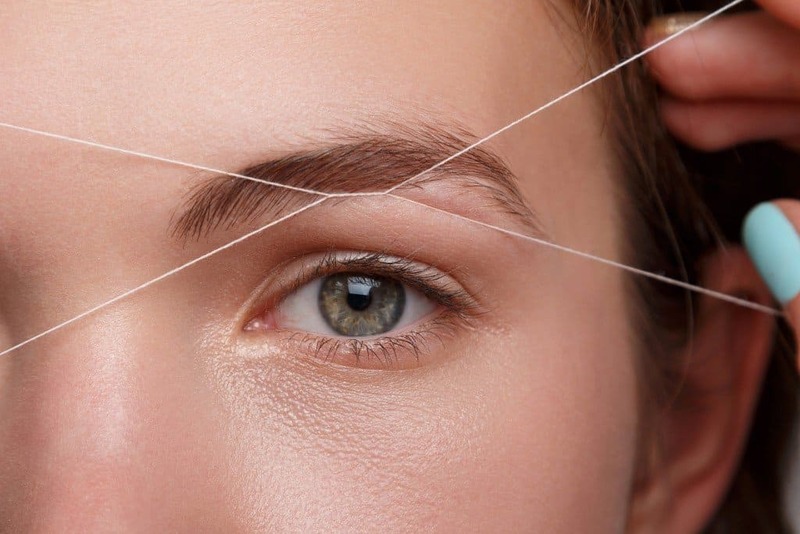 Threading is a method in which the network of threads works in perfect harmony to trap an eyebrow strand and tug it off its follicle. This technique has gained popularity in recent years. But it is based on an ancient practice. You need a threading tool. Loop the hairs you want to remove around the threading tool, and then pluck them out. The technique is similar to plucking in the way it removes the hair below the skin’s surface. And the best part is you will not get hair regrowth for a month or two. We are now moving into the more cosmetic-style ways for how to remove unwanted hair from eyebrows. Depilatory cream is one of the more popular ways for that. It works by melting your hair with strong chemicals. All you have to do is apply the depilatory cream to the spot, and then rinse off as directed on the box. Results of a depilatory cream can last up to two weeks. The problem is that these products can sometimes cause irritation. Make sure to test the depilatory cream on another area before putting on your face. If you want to be sure there is no irritation, buy a depilatory cream that is designed specifically for your face. This method can be used only by a dermatologist or a licensed esthetician. A person performing this method has to be licensed. Do not risk trying electrolysis by an unlicensed professional. During the procedure, the professional will use fine needles with strong electric currents to kill the hair roots. The unwanted hair falls off within a few days. You will need a few treatments to make sure the hair is fully removed. Good news: the promise is that the hair will not grow back. The bad news is that each procedure can take up to several hours, and it is quite expensive. Laser hair is another technique that you have to look for a licensed professional. Otherwise, you risk infections and scars. The laser works by directing laser light at the unibrow to prevent future hair growth. Same as electrolysis, you need a couple of treatments. But the results are supposed to be permanent. What happens, in reality, is that you actually decrease the rate of hair growth. And sadly, you will need a couple of initial follow-up sessions.